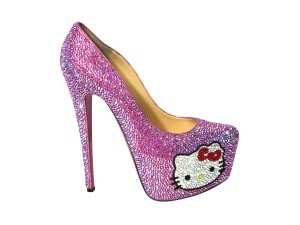 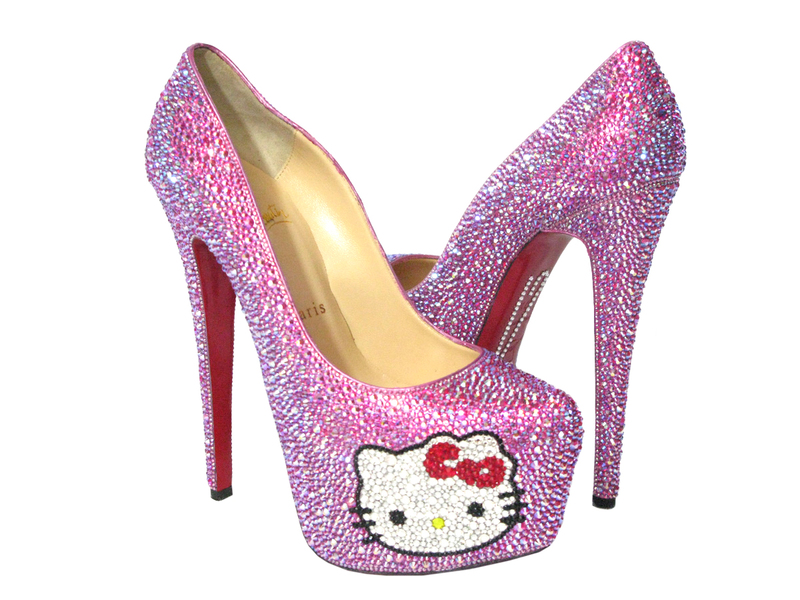 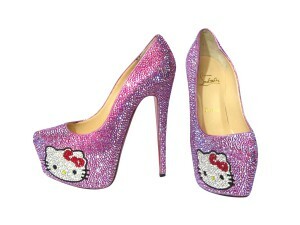 Not only is a Christian Louboutin the most sold out shoe, but who can ask for more… a blinged out Hello Kitty Crystal Daffodile! With this special custom order, we have created a one-of-a-kind work of art. 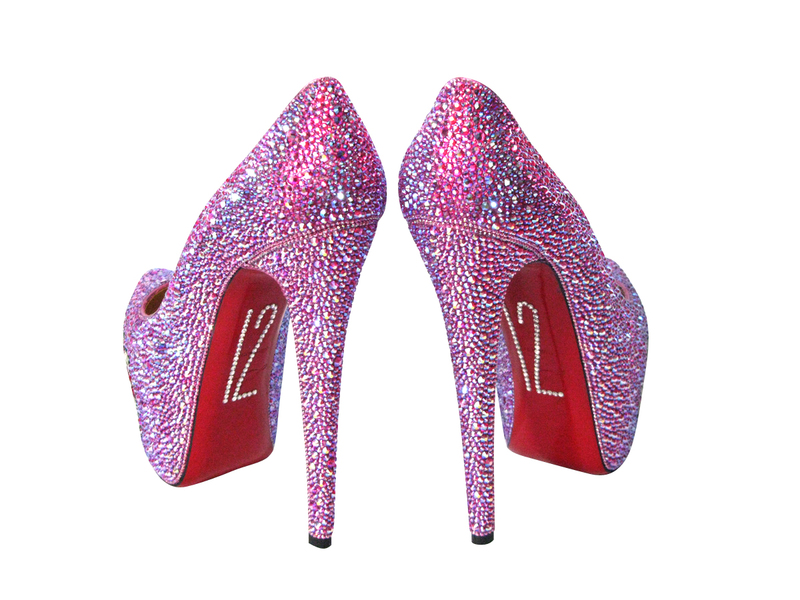 Crystal Heels implemented the number 12 on the red soles of the shoe, as per the client’s request, and it turned out to be even more eye grabbing. Ladies, what would you like to see on your sole?